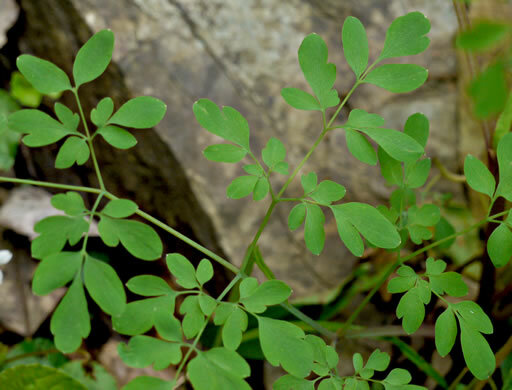 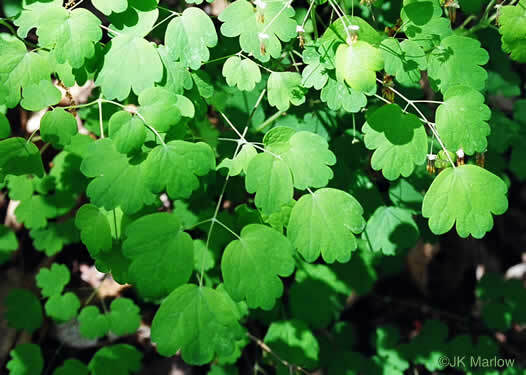 Your search found 12 image(s) of leaves that resemble Thalictrum. 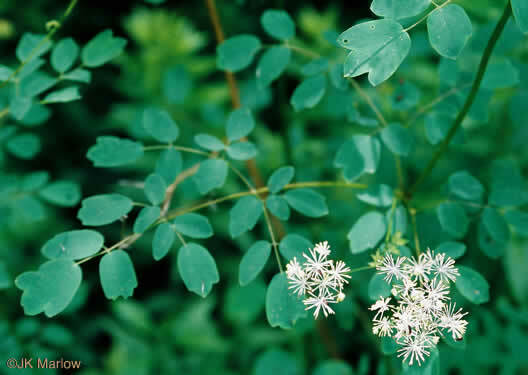 Its leaflets are more deeply lobed than those of Thalictrum thalictroides, per Wildflowers of the Southern Mountains. 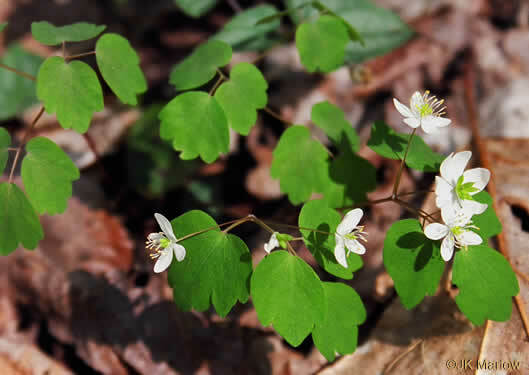 Upper leaves whorled, each w 3 leaflets, tips usually with 3 shallow lobes, per Wildflowers of Tennessee, the Ohio Valley, and the Southern Appalachians. 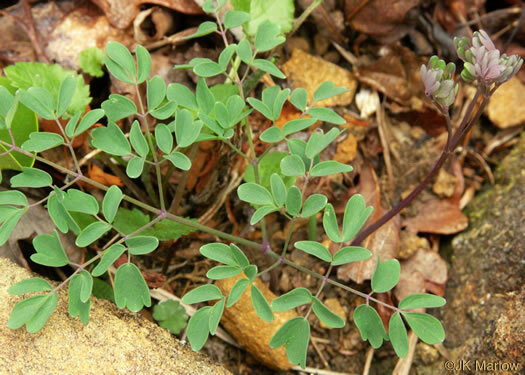 Leaflets kidney-shaped or oval, broader toward tip, 4-7 lobed, 1-1.5" wide, per Wildflowers in the Field and Forest. 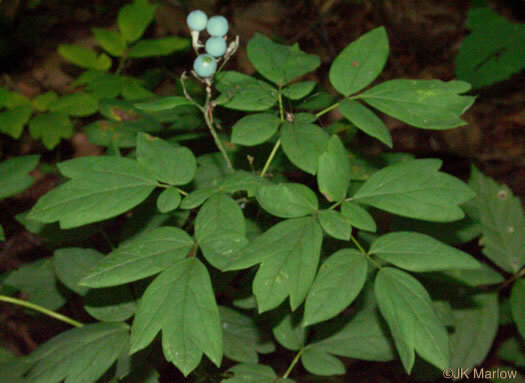 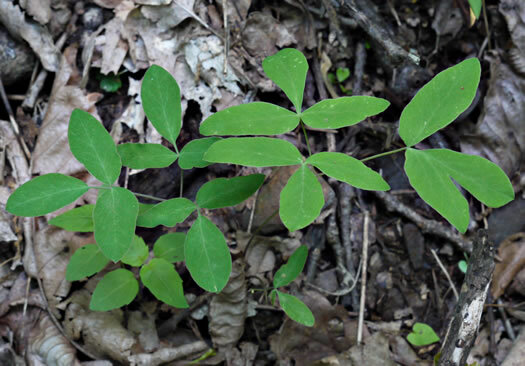 Leaves ternately decompound; leaflets usually with 3 lobes but sometimes none, per Vascular Flora of the Carolinas. 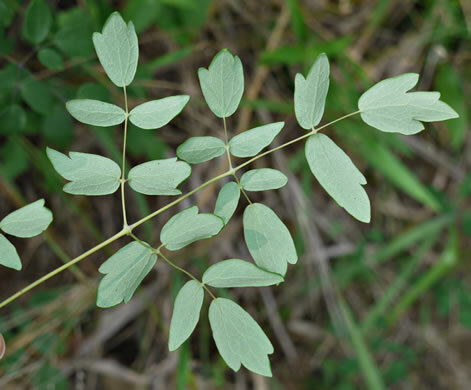 Leaflets entire to 3-lobed, averaging about 10mm wide, per Weakley's Flora. 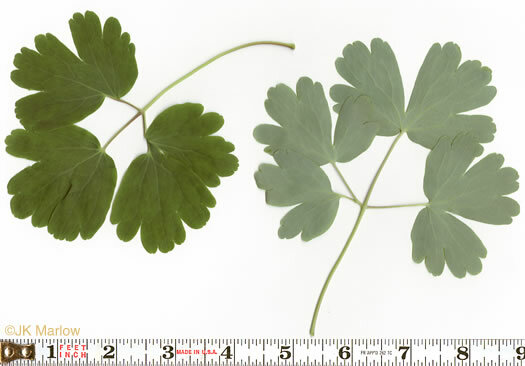 Leaflets heart-shaped or round, undivided or 2-3 lobed, .25-2.75" wide, per Wildflowers in the Field and Forest. 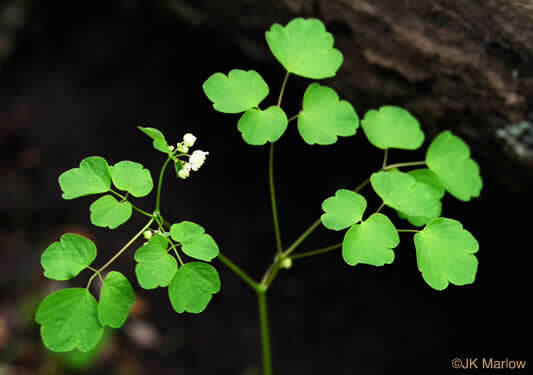 The specific epithet "thalictroides" means resembling Thalictrum. 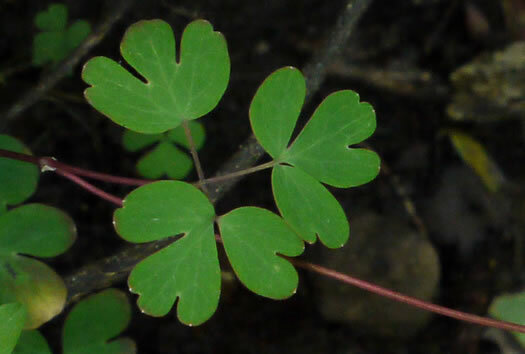 Leaf segments elliptic to obovate, mostly 1-2cm long, 5-10mm wide, per Vascular Flora of the Carolinas. 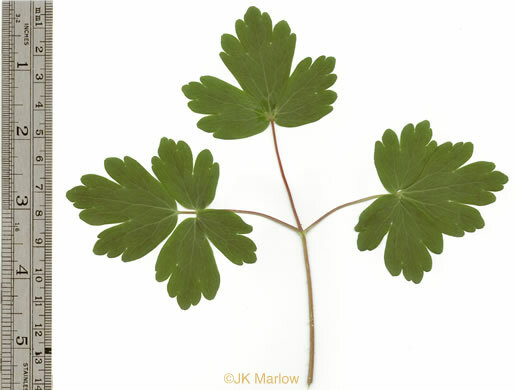 Leaflets have consistently entire margins, which is uncommon in Apiaceae, per Wildflowers of the Southern Mountains.